Following right direction can easily get your destination. This beautiful Buddha footprint 5-rod windchime can guide you right direction in order to help you achieve your goal as well as protection and bring good luck. 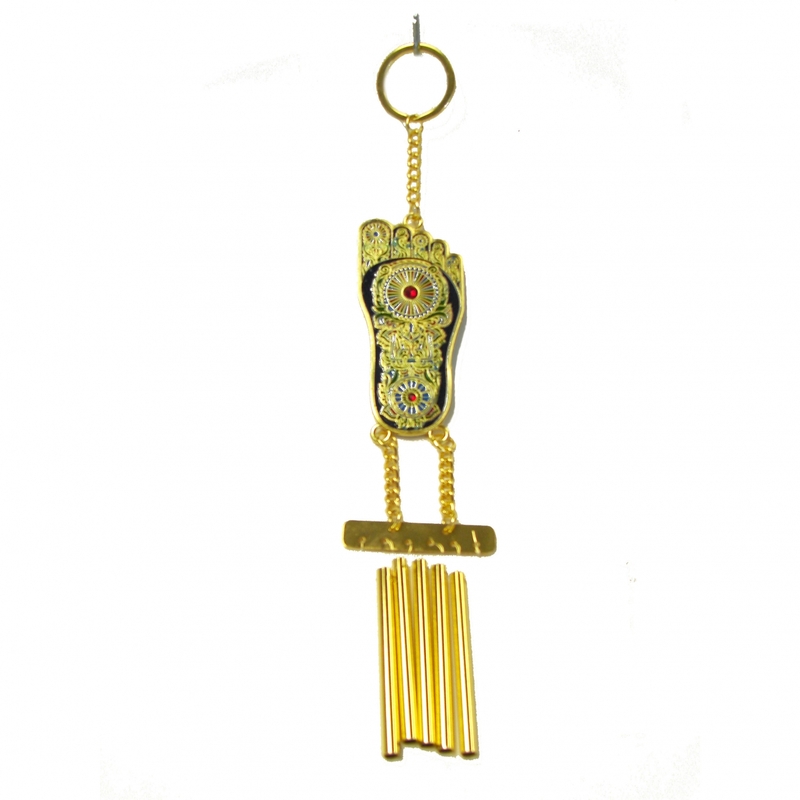 You can hang this Buddha Footprint windchime in the west. The overall dimension of it is approx. 2" x 11.5" x 0.125". It is made of brass.